Fellow of Indian Association of Gastro Endoscopic Surgeons (FIAGES). Former Head of Department of Surgery and Director Cancer Hospital, All India institute of Medical Science, New Delhi. B.C. Ray Award, WHO fellow, Sr. Common Health fellow. Sandoz Award of ICMR, Pandalai oration of association of Surgery of India and many other Awards and orations. President of Indian Association of Surgical Gastroeulogy. President of Indian Association of Surgical oncology. President of Indian Ostomy Society. Adviser in Cancer Ministry of Health Government of India. Emerites Professor of National Academy of Medical Science, New Delhi. Honorary fellowship of Indian Association of Gastro Intestinal Endo surgeons (FIAGES). Early Founder members of Indian Association of Gastro Intestinal Endo Surgeons (IAGES). He has 20 years experience in the field of General Surgery which includes Laparoscopic, Bariatric, Colorectal& Gastrointestinal Surgery. Proficient in wide range of routine and emergency surgery. Well informed on current national and international surgical trends. Conducted regular surgical training and teaching classes for post graduates, interns, undergraduates, nursing students etc. Actively involved in DNB teaching programme of the hospital. Co-guide for DNB General Surgery 2012-2015. Social responsibility by organizing free medical camps for needy patients and for health awareness especially for colorectal cancer. Faculty at various National level conferences and CMEs. Authored number of chapters and articles in peer reviewed journals. Fellow of Indian Association of Gastro Endoscopic Surgeons . Fellow, international medical sciences academy. 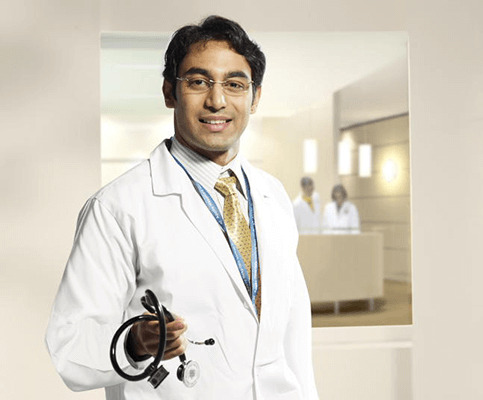 Life member of Endoscopic and Laparoscopic Surgeons of India.